A refrigerator wiring harness is a set of organized electrical wires, terminals and connectors that are manufactured to transmit signals and energy in a system. These wire harnesses control power source, lights, system gauges and other peripherals. Wire harness assemblies are the backbone of any electromechanical system. Precision Cable Assemblies designs and manufactures custom wire harnesses for many OEM applications. Manufacturers incorporate wire harnesses into their application for power control, sensing capabilities and more. PCA has worked with OEMs in many industries and applications. By proper selection of the connective devices, PCA manufactured one refrigerator wiring harness that replaced all three. This alone simplified spare part support for the customer and their purchasing department. Another solution that PCA provided was a polarized or keyed connector. This style of connector simplified the assembly process and prevented users from connecting the peripherals incorrectly or reversed. This type of connection avoided displacement, or breaking, the connection pins. PCA is a premier wire harness manufacturer with worldwide locations in Brookfield, Wisconsin, Waukesha, Wisconsin, QingDao City, China and Guadalupe, Mexico. 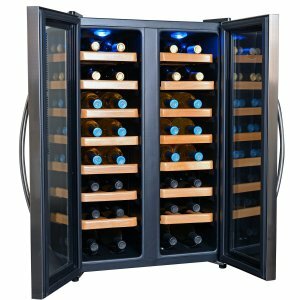 With their in-depth knowledge of proper component selection and wire harness manufacturing, PCA leads the way with innovative design ideas and state-of-the-art manufacturing and warehouse facilities. 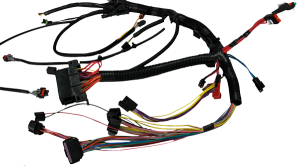 Contact PCA for a custom wire harness quote today.